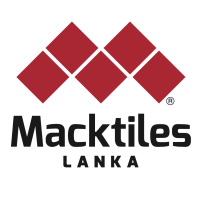 Macksons Tiles Lanka (Pvt) Ltd manufactures a wide range of floor tiles for both commercial and household use. It is Sri Lanka’s largest turnkey tile manufacturer. Elegance, aesthetics and durability form the cornerstone of our impeccably manufactured tiles. As one of the largest companies engaged in the manufacture of tiles in Sri Lanka, we are powering the tile industry through innovation and design. We understand the sense of ownership our clients feel about their living and working spaces and we extend them the widest choice of colours, textures and designs manufactured in state-of-the-art manufacturing facilities. Our endeavour is to provide products that delight our customers instantly. In order to achieve this superlative level of customer satisfaction, we have instilled modern systems and processes along the value chain, ensuring stringent quality control, closely monitored by a skilled and professional team. We are driven by the purpose to transform the interiors of residential and commercial spaces with the impeccable hallmark of Macktiles. The core of our team is formed by tile industry specialists and research personnel who have over 15 years of experience in the field. We provide employment to over 350 personnel, each provided with on the job training by highly experienced individuals in order to make them the best at what they do. We also invest heavily in skills development programmes and take a multifunctional approach when training employees so that they are able to widen their boundaries to encompass all functions. Employee performance is constantly monitored throughout the year and all shortcomings are immediately addressed. In addition we promote and facilitate career development within the company. Our team knows and understands that customers are at the forefront of our company. This understanding makes it easier for us to manufacture exceptional quality and innovative tiles that satisfy the needs of our customers. Our tiles are works of art in themselves, reflected moods, colours and seasons. Our wide variety of glazed ceramic floor tiles and porcelain floor tiles are available in vivid and serene colours. Our superlative manufacturing processes enable us to create stunning effects such as serene plain or wood effects, elegant natural marble designs, or rugged slate and rustic designs. Precision digital printing enables us to achieve exact customer specifications. Your overwhelming response to our aesthetic collection has inspired us to introduce new additions to our range such as Skirting and Cut tiles and innovative oriental Mosaic tiles that can be custom made for featured walls. Our stunning range of tiles is currently produced in 3 sizes: 30x30cm, 40x40cm and 60x60cm. Our R&D team is innovating to enhance this range further. Technology powers our innovation and design expertise, enabling us to deliver the highest quality products to customers. Our tiles are produced using advanced technology while our machinery is directly sourced from Italy, widely acknowledged as world pioneers in tiles. Even our high quality glazes and printing ink is imported from Spain and Italy. Our tiles are made using superior clay and minerals that are 100 per cent sourced from Sri Lanka. Exceed the expectations of customers, stakeholders and other interested parties through effective and efficient operations and optimum resource utilization. Provide our products and services in an environmental friendly manner and prevention of pollution from our activities. Continually improve our quality and environmental management systems while conforming to applicable regulatory, statutory and other requirements. As the premier tile manufacturing company in the country, we are the first company in the industry in Sri Lanka to be awarded the prestigious Green Label Certification for our eco-friendly practices and high quality products. We are also proud to have achieved the SLS Standard Certification and the ISO 9001:2008 Standard Certification for our Quality Management Systems. Our main manufacturing plant is located in Paragasthota, Bandaragama, bordering the southern expressway, a mere 40 km from the capital city of Colombo. The Factory complex spans 30 acres and holds a capacity of manufacturing 2,070,000 SQM of tiles annually. Our manufacturing process is state of the art and is embedded with quality assurance and quality control practices at every stage to ensure a world-class product. Our processes boast the use of fully automatic robotic technology as well and the facility is built to European Union (EU) specifications, reflecting the international standards we adhere to. Our onsite research and testing laboratory supports our promise of delivering world-class products. Our warehouse can accommodate 360,000 SQM of tiles and construction is currently underway to expand this capacity to gear our company to meet its ambitious goals.